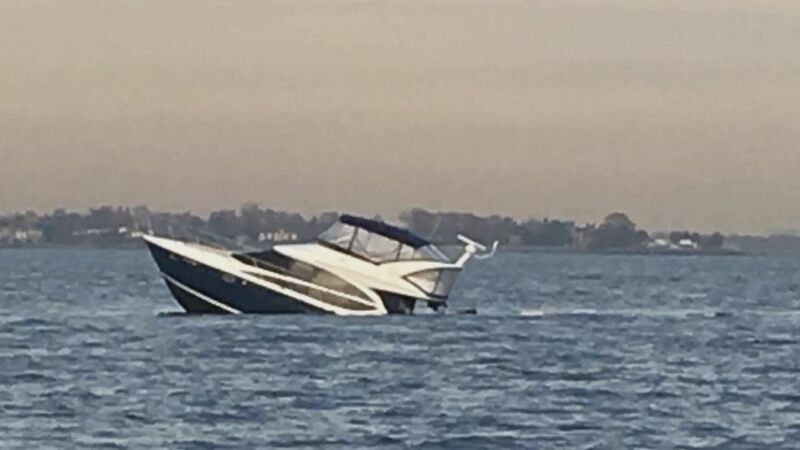 Crews rescued a dozen people from a boat on the Connecticut side of the Long Island Sound that was taking on water, fire officials said. The group had been boating from Norwalk to Stamford to grab some dinner when their boat started sinking off of Shippan Point. Fire officials said 12 people were rescued from the 39-foot long boat that had apparently hit rocks just outside of the East Break Wall. Stamford Fire Rescue said the boat hit the rocks because tides were lower than usual on Monday.